The Old Hepburn Hotel in Hepburn Springs, Victoria, Australia has been serving up beers for thirsty locals since for over a hundred years. However, one thing it is not known for is it’s fancy cocktails. As part of Schweppes Australia’s ongoing Cocktail Revolution campaign, agency GPY&R Melbourne convinced the pub’s owners to shut off the beer taps for one day. 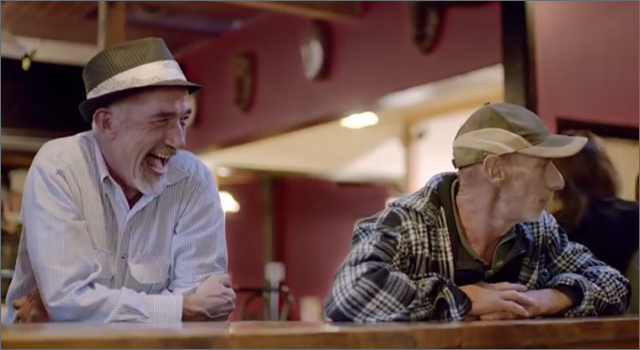 The first video features the genuinely funny reactions (oh god, please let this be unscripted) of the pub’s regular patrons. Would the locals accept tiny umbrellas in their drinks, or would the Dooleys face their thirsty wrath. Watch the results in the clip below.